Posted by admin on Oct 6, 2017 in Sovereign Security | Comments Off on Visit Sovereign Security at Arklow Enterprise Town Expo. Visit Sovereign Security at the Arklow Enterprise Town Expo. 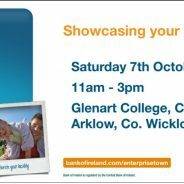 The Expo takes place on Saturday 7th October at 2017 between 11am and 3pm in the Glenart College, Coolgreany Road, Arklow. 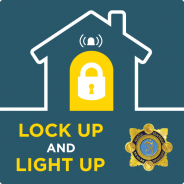 It’s that time of year again and An Garda Síochána have again reminded us to be vigilant, lock up and stay safe this Winter – see the Operation Thor’s Lock Up Light Up campaign 2016. 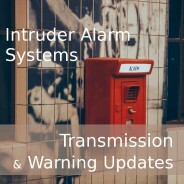 In the winter months, residential burglaries increase by 23%, so with some small steps and actions on your part, you can deter Would-be thieves. 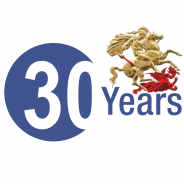 This year, security provider and management company Sovereign Security celebrates its 30th anniversary. Sovereign expresses their appreciation to all our clients, suppliers and friends for their support and goodwill down the years. 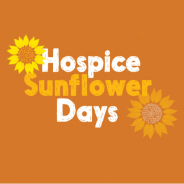 Congratulations to Sovereign Security’s Fabian Doyle, for being presented with the ‘Sunflower Hero’ award for his voluntary work for the Wicklow Hospice Foundation. 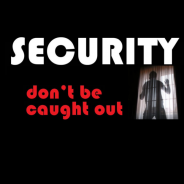 Every business, no matter how big or small, needs to assess their security needs, taking into account the importance of its people, assets and property. 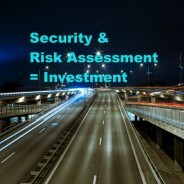 Security is an investment, not a cost. Learn more from An Garda Síochána about keeping safe this winter. A wealth of information is available from An Garda website, with key steps to optimise home security, a downloadable check list and a map highlighting the key break-in points in your home. 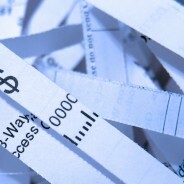 White collar crime – a crime like any other White collar crime was defined in 1939 by sociologist Edwin Sutherland as “a crime committed by a person of respectability and high social status in the course of their occupation.